No wonder that Koppa trek trails fascinate every adventure buff. Nestled in the beautiful district of Chikmagalur in Karnataka, is a cozy little town called Koppa. It holds a special significance to nature lovers as it offers breath-taking views, scenic trails and boasts of a pleasant climate at 763 metres above sea level. No wonder it is popularly called the Kashmir of Karnataka. As you must have guessed, it is enveloped by the mountain range of Sahayadri. The environment at this region is conducive to the growth of tea, coffee, paddy and more. Trekking at the place unfurls beautiful views and scenic trails leading to various plantations. The Koppa trek trails are densely vegetated and wrapped by a blanket of thick forest. The best part about trekking in Koppa is that the paths lead to different destinations nearby. 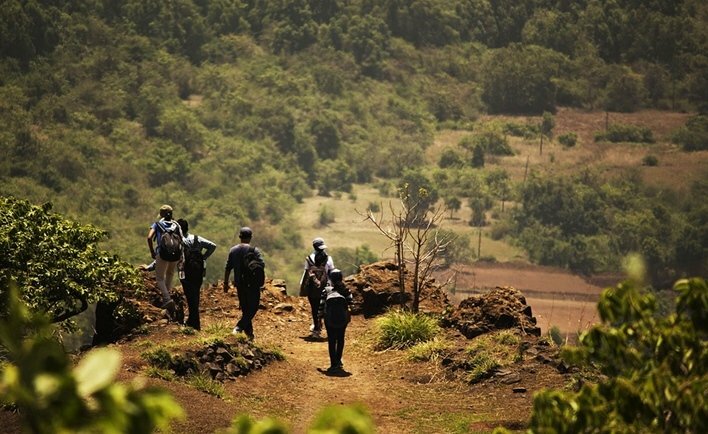 To begin with, start at Koppa and work your way uphill along the Sahyadri range. You will find thick plantations and a bed of estate-like trails. Keep a ride handy to keep hopping on and off and hiking at different spots. For instance, you can head to the hilltop of Kuppalli, which is about ten kilometres away. As an alternate, you could reach Kote Gudda Fort and work your way up. Be wary of mosquitoes and leeches along the trek. Carry an insect repellent and wear socks and full-length track pants. Keep a bag of salt handy. 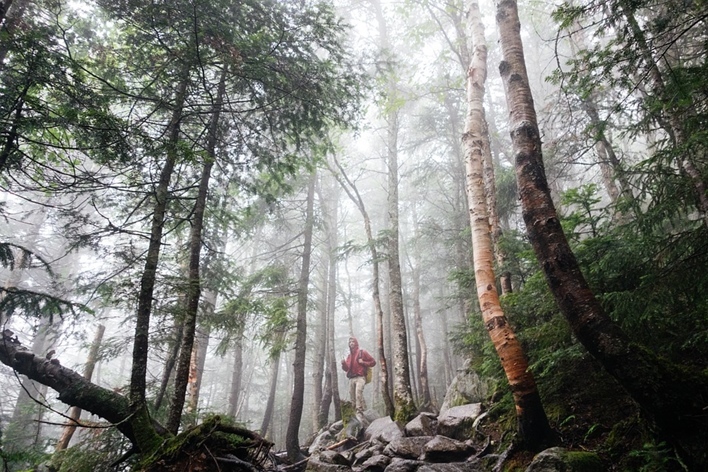 You can refer to the things to do below and make them a part of your trekking series. Lush plantations: Admire the rich tea and coffee plantations as you go on a small hike around the green trails. Hill station: Visit the small hill station of Meruthi situated in Chikmagalur itself. If you have time, extend your stay to trek Mount Meruthi, which is the tallest mountain in the range, or simply stroll around the area to enjoy the views. Don’t forget the Kotte Gudda Fort. Temples: There are a number of temples in and around the place. Drive around Hedase, Basrikatte, Kesave and Uttameshwara to reach the Shivapanchayat temple, Janardhana Swamy temple, Kamandala Ganapati temple amongst many others. Tunga River: Owing to its close proximity to Shimoga, one can easily head there to spend a day by the banks of the Tunga River. While you are by the river, you can visit some famous mutts in the vicinity, especially Hariharapura and Shakatapuram. Mangalore Airport is the closest one to Koppa trek trails. It is approximately 130 kilometres away. The next closest one is Kempegowda International Airport, which is about 350 kilometres away. You can book a train to Kadur Railway Station or Hassan Railway Station, merely 38 and 50 kilometres away respectively. Board the bus from the nearest bus station of Chikmagalur. Additionally, you could look at routes from Shimoga and Hassan as well.